Forbes.com has a great tool for visualizing Net Population Migration for every county in the United States during 2008. Find out whether your county a was net population gainer or loser by visiting Forbes.com. Forbes used IRS data to create its map. 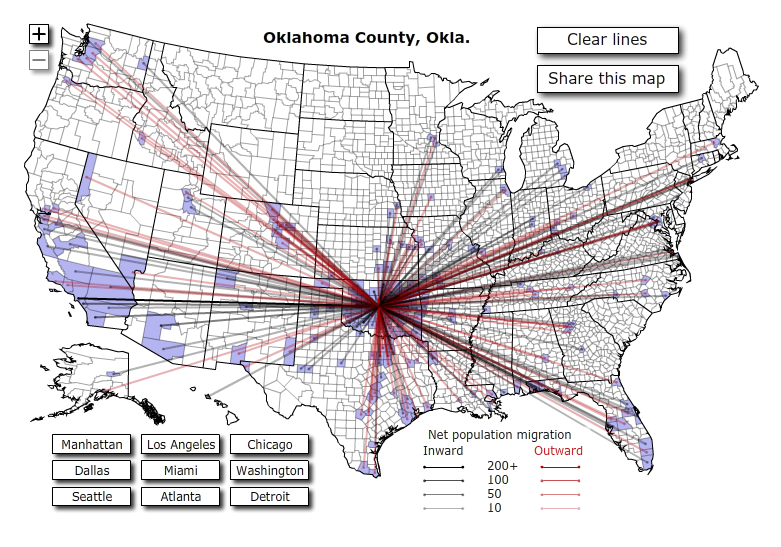 This entry was posted on June 15, 2010 at 11:32 am and is filed under Oklahoma County Oklahoma Net Population Migration. You can follow any responses to this entry through the RSS 2.0 feed. You can leave a response, or trackback from your own site.